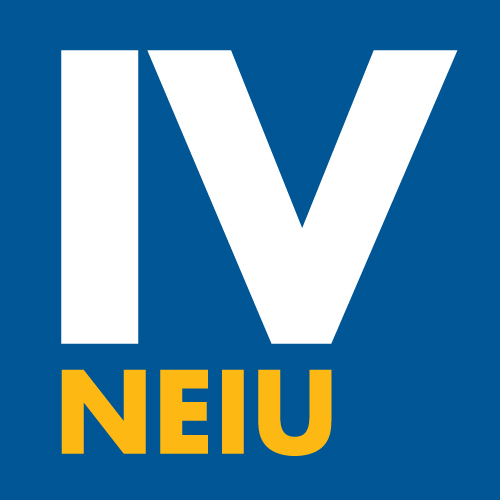 Hey, NEIU students and faculty! My name is Alanna Bougher, and I am president of InterVarsity Christian Fellowship here on campus. We are a very welcoming community focused on experiencing Jesus and spreading his love all over campus. We do this because we believe Christ is actively working to make people new and offers abundant life on campus; we want to partner with him in doing that. I know that sounds intimidating, but you don’t need to have any spiritual or religious background in order to come to any of our meetings; we welcome everyone to come check us out at the many different events that we hold. InterVarsity is actually a nationwide campus mission, and they have chapters at campuses all over the United States. We have been on campus for about two years now, and staff from InterVarsity help plan different events and meetings. We are on campus almost every day. As president, I help provide ideas and support all of the different events that we put on every week. Every Tuesday in LWH 3040 at 3:00 p.m., we hold an hour long meeting where we look at Scripture, discuss it, and connect with God as a community. If you can’t make it to that meeting, we have a meeting every day at 12:00 p.m. in the cafeteria called Breaking Bread. In these meetings, you can bring your lunch and hangout for fellowship and prayer amongst a small group. We have recently started a couple of new discussion groups as well, each focusing on a different topic such as dating and love, ethnicity and race and the arts. All of this information can be found on the many flyers posted all over campus. We love meeting new people and spending time with one another. This past February was InterVarsity’s winter conference, called Winterfest, for all of the Illinois chapters of InterVarsity. It was such a fun weekend, and I got to make new friendships, spend quality time with friends, and deepen my relationship with God. I hope that more people can get the chance to experience the same things I did at Winterfest and at our events every week. This is something that anyone on campus can be a part of, no matter what. If you are curious about God, or looking to deepen your relationship with Christ, InterVarsity is a great place for you. After just two semesters at NEIU, InterVarsity has taught me so much and continues to teach me new things about God and life in general. We really do offer a loving and safe community for anyone who wants it. Don’t hesitate to stop by our info tables in the Student Union, Converge on Tuesdays, Breaking Bread, or any other of our groups on campus. We would love to meet you, and we hope to see you soon!